I’m a huge Ilona Andrews fangirl. I even have the shirt to prove it.😂 I’m looking for urban fantasy recommendations similar to their writing. I’ve already tried Patricia Briggs, Seanan McGuire, Nalini Singh, Eileen Wilks, Stacia Kane, Thea Harrison. But haven’t found any other series that I loved as much as the Hidden Legacy and Kate Daniels series, and the rest of Ilona and Gordon’s books. I’ve already made this request on Twitter (see tweet below) and Litsy, and of course I had to ask for recs here on the blog too. Plus I can update this post with a list of the recs I receive so it would be easier to keep track of them. Shenanigans from last Saturday were continued on Tuesday when I met up with my friends Kat of Book Thingo and Mina of romanceclass to record another podcast, this time with Filipino theater actor Gio Gahol who was also the first male actor to do the live readings. We got to talk about how the live readings first started as an experiment when Mina asked Gio and Rachel to do it, and how it has exploded into something that has become a favorite activity of romanceclass authors and readers alike. It was an interesting conversation because all of us had different perspectives: Mina and Gio were right there from the start of the live readingers almost two years ago, I had only attended one live reading event (Feels So Hot), while Kat has only been able to watch the videos. Got to record another podcast with @bookthingo (Dyosa ng Kabastusan), @giogahol (Tagapagbigay ng Kilig) and @minavesguerra (Dyosa ng #romanceclass) in my ever evolving role of Dakilang Epal. Seriously fun conversation with these people! It's like Kat and I are making up for lost time, when we missed all past romanceclass events while based abroad. I witnessed and participated in the podcasts being recorded but still can't wait to listen to the final version of each! Fingers crossed that these will help widen the reach of Filipino romance globally. Swipe left to see all the pics! I must say that seeing the live readings in person is definitely SO MUCH BETTER than just watching videos of them, because part of the fun is seeing the reactions of the audience. That’s probably the main reason why I enjoy the live readings, seeing how the audience becomes overwhelmed with the emotions that they’re feeling, which I also think that’s something uniquely Filipino. Even if these live readings were replicated abroad, I don’t think the actors would get quite the same enthusiasm as they do here in the Philippines. And I also think both the readers and the actors feed off each other’s energies, a symbiotic relationship of sorts. 😀 I also really love how two different local art groups overlap with the live readings: theater and romance books. With the connection with the theater actors, romanceclass community members also attend plays or events that include the romanceclass live readers. And hopefully theater folks are also now more interested in romance because of these events? I’m going to stop here because I’m doing my best to just write about my own point of view because I don’t want to spoil the podcast for you guys! I witnessed it being recorded but it will still be so much fun to listen to it. After recording the podcast, we headed to UP Town Center where we met up with our friend Honey. We got to drop by the Kevin Kwan book signing! Both Kat and I haven’t read his books but we’re both planning to. Thanks for our copies of Crazy Rich Asians and for hosting us during the signing, Honey! My mom and my aunt are fans of Kevin Kwan’s books and I got him to sign one book each for them. I’m still trying to read more books by Filipino authors for #BuwanNgMgaAkdangPinoy this month so I’ll try to pick up Kevin Kwan’s books after August. #BuwanNgMgaAkdangPinoy: I'm trying to decide what #romanceclass title to read next. These are the ones at the top of my TBR pile, are any of these your favorites?😊 Special participation by @fantaghiro23 in the last pic, and shout out to @lovethemidlist. Some of them aren’t 0.99usd anymore but still pretty affordable! And I’ve added a few more titles that have gone on sale since I created that thread. I’ve been one clicking like crazy and stocking up on books that have been on my wishlist. Yesterday morning's super fun activity was a coffee tour hosted by @chiefcaffeinator at @tobysestateph's roastery.☕☕ We got to try the signature Woolloomooloo blend that has been adapted to the Filipino palette (tasted chocolately for me), as well as the Salcedo blend which was specifically created to cater to Filipino taste buds (I could tell it was sweet but couldn't identify the guava note). My favorite Toby's drink is dirty chocolate chai but I also love how smooth the cappuccino is. We also got to watch a single origin from Bukidnon being roasted. @bookthingo says the coffee here is even better than Sydney's!🇵🇭 So glad she's here on vacation and I was able to crash this tour organized by @fantaghiro23. The coffee enthusiast and cafe hopper in me loved the whole experience. The things I get to do because of bookish people never cease to amaze me. Thank you so much, Raoul, Honey and Kat! 🙌 PS: Please help me petition for a Toby's branch to open up in QC. Romance blogger extraordinaire @bookthingo a.k.a. Dyosa ng Kabastusan is in Manila for a few days! She has lamented about missing out on all the #romanceclass events because she lives in Sydney. So @minavesguerra organized a session for podcasts to be recorded with live readers, authors and book bloggers. With the added bonus of what @mrfredlaw has dubbed as "private live reading" of scenes from romance novels.😂 Can't wait for these podcasts to go live! So excited to hear the final version of all the podcasts on Book Thingo. We wrapped up the day with dinner at Manam, a restaurant in the area that serves delicious Filipino food. If I was nearer to that place, I would definitely come back more often. That was my Saturday, which was obviously a really good day for me. I love being able to spend more time with bookish people now that I’m in Manila because that’s something that I didn’t get to do abroad. Sunday was a quiet day spent at home, and now Monday is here! How was your weekend? Were you able to read or do anything book-related? 🙂 Have you read any books that you’d like to rave about? I haven’t been able to sit down and write reviews recently but I really want to do so soon! Let’s see how it goes. Swipe right to see more pics. 🙂 Next is my haul of bookish shirts! I found a local seller here in the Philippines who does custom prints and I ordered the designs below. Honestly, it was so hard to narrow down the choices to just five designs. I wanted to many more. But then I can always order more later on, right? 😛 The last time I had bookish shirts was when I ordered them from Threadless, and sadly those shirts don’t fit anymore. These new shirts of mine will be perfect with my bookish skirts. Shirt haul from @hotmessph! So happy with how these turned out and I look forward to wearing them.🙌 I blame @readbyher for making me jealous of her bookish shirts, but also want to thank her for letting me copy her GIMME HEA idea.😂 Now I'm ready for the next bookish event! I’m traveling for a few days, so I wouldn’t be online here on WordPress that much but I will be updating all other social media apps that I have on my phone. :D What books or other bookish stuff have you acquired lately? It’s been more than a week since #BuwanNgMgaAkdangPinoy started! 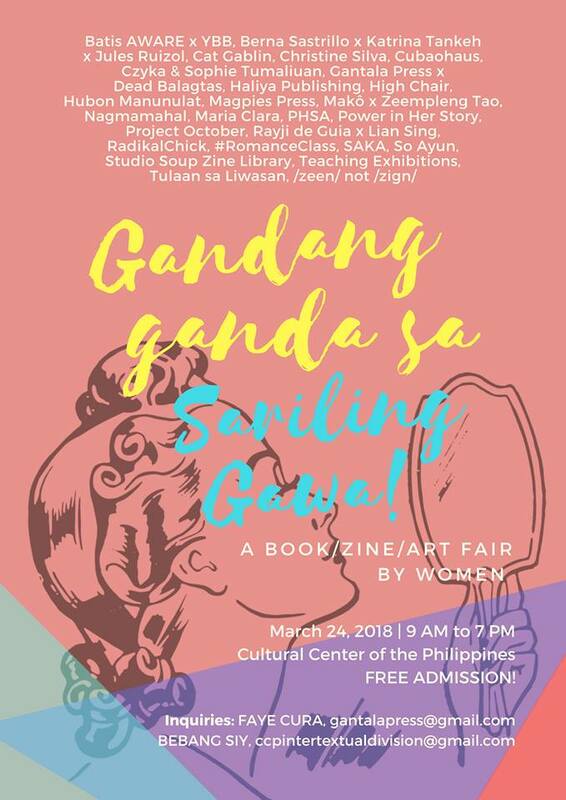 Find out more about the event here, and as mentioned earlier, I hope you guys take this chance to read books written by Filipino authors. Since I’m a supporter of romanceclass authors (Indie pubbed Filipino romance written in English), I made a thread on Twitter of books that are currently on sale for just 0.99usd. Go and browse through the list of more than 20 titles. More will be added in the coming days. Look at that, I finally figured out how to center align an embedded tweet on WordPress, yay! Okay, moving on to the topic on hand… I wanted to do a round up of the posts I’ve made on Instagram so far. I wasn’t able to do posts on a daily basis, I missed a few days but hoping to do more in the coming weeks! Let’s see how it goes. I'm not much of a beer drinker but how could I resist ordering @alamatcraftbrew's Bungisngis dark chocolate-flavored beer at @tweedlebookcafe? It matches my book for today's #BuwanNgMgaAkdangPinoy. Alternative Alamat is an anthology of Philippine fantasy, using elements of Philippine mythology. Alamat means "legend" in Filipino. I've had my copy for a while now and I've decided to start reading it this month. What other fantasy books written by Filipino authors would you recommend? #BuwanNgMgaAkdangPinoy: There was a time when Summit was my main source of Filipino romance/chick lit. My friends and I would devour these books and pass them on to each other. Because we were starved for fiction set in our own country, reflecting our own culture, with characters we can identify with. My favorite out of these was The Breakup Diaries, what's yours? Nowadays, I'm grateful that we have #romanceclass books. The authors are writing and publishing titles faster than I can read them. A good problem to have! #BuwanNgMgaAkdangPinoy: an excerpt from Prep & Prejudice by @mirenbflores, who clearly understands the awesomeness of Philippine mangoes..... . . "Dessert is fruit. Mangoes. Somehow he has figured out that it is one of her favorites, probably even before she did. Maybe a man who spends days playing with spices and herbs can look a person up and down and know what flavors and textures would work, the way a stylist thinks about clothes and jewelry and shoes. Maybe he listens to a woman's laugh, the pitch of her voice, and thinks, 'Yes, this and this and this.' Or maybe he just noticed she likes to eat mangoes." #BuwanNgMgaAkdangPinoy: I had lunch with Honey and Tarie earlier today, two out of the three ladies behind the @lovethemidlist account. They pair midlist book recommendations with skincare products they love. So my post today was inspired by what they do. Cover Story Girl by @islandstorygirl is a fun beach romance set in Boracay Island, with a Filipino hero and a Korean heroine. Full disclosure, Chris Mariano is a good friend so I may be biased but I'm a fan of her writing. Skincare-wise, I absolutely love @vanderohe's no. 1 face serum: a blend of rosehip, grapeseed, apricot kernel carrier oils plus 8 essential oils. It's organic, smells amazing, feels awesome on my skin and has helped my face become smoother and clearer. One stop skincare solution in a bottle! #BuwanNgMgaAkdangPinoy: @thebiancamori's books are some of the #romanceclass titles currently on sale for 0.99usd each. I have a thread on Twitter with links to the Kindle pages of more than 20 books (link in bio). This is your chance to read Filipino-romance-in-English! Also, it's my first time to try La Lola'a churros and I like the plain one. The flavored ones are way too sweet! If you’re interested in featuring or reading Filipino books, there’s still lots of time for you to join #BuwanNgMgaAkdangPinoy. What books written by Filipino authors are in your TBR pile?